When it comes to insanely rich and famous athletes that are universally known in every single country on earth, Cristiano Ronaldo is definitely near the top of that list. The 33-year-old Portuguese footballer is used to the fame, but he does love his privacy and will go to extreme measures to make sure certain details of his private life are kept secret while on earth and after he’s left earth. According to new information, the Juventus star reportedly has his entire household employees sign a 70-year non-disclosure agreement. 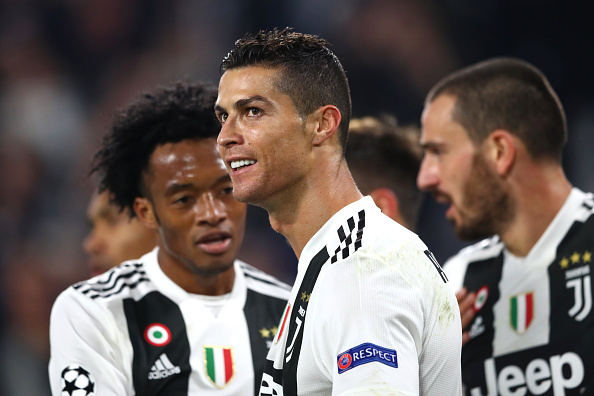 “Nothing about Cristiano’s private life may be divulged until 70 years after the death of either the player or the last of his relatives,” the agreement allegedly reads. This shouldn’t be too much of a shock who have followed the former Real Madrid and Manchester United star’s personal, as his being secretive extends to his four children, specifically the identity of Cristiano Jr’s mother.